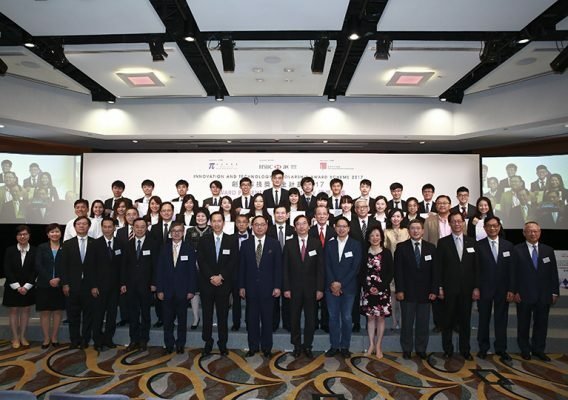 Since its establishment in 2011, the Innovation and Technology Scholarship Award Scheme has been dedicated to nurturing talents in the field of innovation and technology, and a total of 175 outstanding local undergraduates from science streams has been awarded. According to the status survey of past awardees, nearly one-fourth (23%) of them continue their post-graduate studies in InnoTech-related programmes in local and overseas universities, such as University of Oxford and King’s College London; meanwhile, 60% of them are working in the InnoTech-related field after their graduation, which are very encouraging. As in previous years, 25 outstanding students from science streams nominated by the Presidents of local universities are selected and awarded under the Scheme. Each awardee will be granted a scholarship of HK$150,000 at maximum with the chances to join a series of elite training programmes, including attachment programmes in the Mainland or overseas, mentorship, internship in local organisations and community service projects, which enable awardees to widen international horizon and enhance knowledge in related industry, as well as become talents in the InnoTech fields. For more details about the Scheme, please visit innotechscholarship.hkfyg.org.hk.